"South Africa are [1.58] to complete a 3-0 whitewash in Cape Town in the Third Test on Saturday afternoon and Jones has all the hallmarks of a coach who has lost the plot." It wasn't that long ago that Gareth Southgate was turning up at Pennyhill Park to watch England's rugby team train and understand the "winning culture" of Eddie Jones. How times change. If only Eddie could hop on a flight to cover the 10,000 miles from Durban to Repino this week and take some lessons in return. While Southgate's men dug out a last-minute win in their World Cup opener thanks to Harry Kane and fantastic team spirit, the rugby boys are in a mess. Their morale appears fatally flawed as they face a dead rubber Test against South Africa after two humiliating defeats in successive weekends. 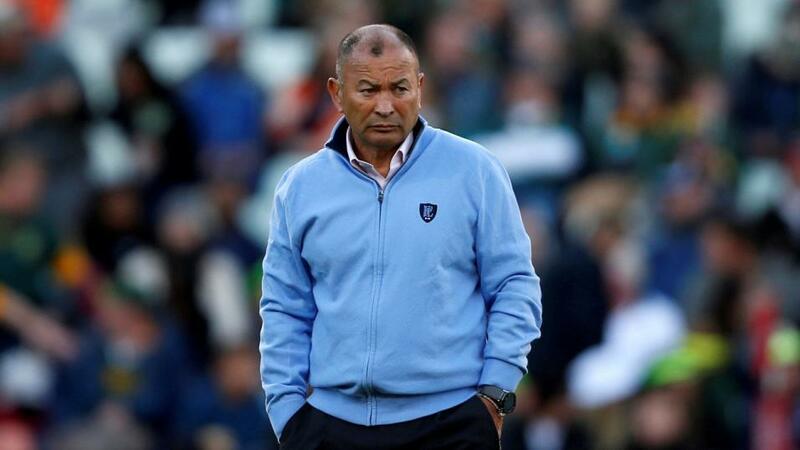 As for Jones, hailed as the great guru when he'd won 24 of his first 25 matches, it's hard to see how he can possibly turn either England's fortunes or his own standing around. South Africa are [1.58] to complete a 3-0 whitewash in Cape Town in the Third Test on Saturday afternoon and Jones has all the hallmarks of a coach who has lost the plot. He's saying all the right things, as they all do. He claims to be relishing the challenge, is extolling the virtues of hard work on the training ground, is backing himself to turn things around. His forwards coach Steve Borthwick has been speaking up on his behalf too. But the subliminal messages coming from the players aren't so encouraging. They seem in denial, with Mike Brown defending himself for a row with a fan, and another senior England player apparently jumping a queue at reception at the team hotel to deal with "an emergency" which turned out to be the need for an extension lead for his Playstation! Jones himself has been full of excuses, not least peddling the line after the 23-12 defeat in Bloemfointein that he was missing 25 players from the tour. The reality is that of 21 at home, at most five could be close to getting selected and probably only two. We highlighted before the second Test the lack of discipline but England showed no sign of having learned any lessons. They conceded 13 penalties, the sixth Test in a row when that has been in double figures, as well as suffering another needless yellow card. There could and should have been others - Mako Vunipola was particularly fortunate after smashing Pieter-Steph du Tolt's head into the ground in a first half ruck. Will he relent over Cipriani? This weekend has become a crossroads in Jones's England career, but how does he deal with it? If he finally brings Danny Cipriani into the starting line-up he admits his stubbornness for not picking the brilliant and intuitive fly-half before. Throwing him on with 13 minutes left and the game gone in Bloemfointein bordered on an insult. He also has to find some replacements for the hugely influential Vunipola brothers - Billy is injured while Mako has returned home following the birth of a son. Jones will be all too aware that he now faces a five month break, and then comes the November series with back to back Tests against South Africa, the All Blacks, Japan and Australia. Good luck with that if he's not stopped the rot this time. I don't know exactly what Southgate took from his meeting with Jones, but he's now in Russia with a policy that good team spirit and a winning culture is all about the players. It's a lesson that England's embattled rugby coach, who has made things all about himself, could do with learning.